Personalized service and all of the tools you’ll need are what make mom and pop hardware stores so special. Some of them carry those hard-to-find items and no matter what kind of home improvement project you’re working on, you’ll find a staff to guide you in the right direction. For a hometown atmosphere and top-notch inventory, check out the 10 best hardware stores in Florida. This place is the epitome of old-fashioned, hometown hardware stores. Along with their selection of hardware, they offer gunsmith services, ammo, key cutting, glass cutting, and lawn and garden supplies. Their fans rave about the friendly, personalized service each time they visit. This hardware store is the home improvement center of the area. Featuring everything from lawn and garden to hardware and irrigation, you can get everything you need for your home projects in a single stop. Serving the area for just under a century, Paschal Brothers have built their reputation on variety and quality. Here you’ll find a generous selection of hardware, lumber, tools, and paint for industrial professionals and homeowners alike. This old-fashioned hardware store proves that friendly, personalized service still exists in the retail world. They’ve been around since 1939 and aren’t going anywhere. Inside you’ll find the likes of tools, hardware, and repair and maintenance services to keep your equipment running like new. 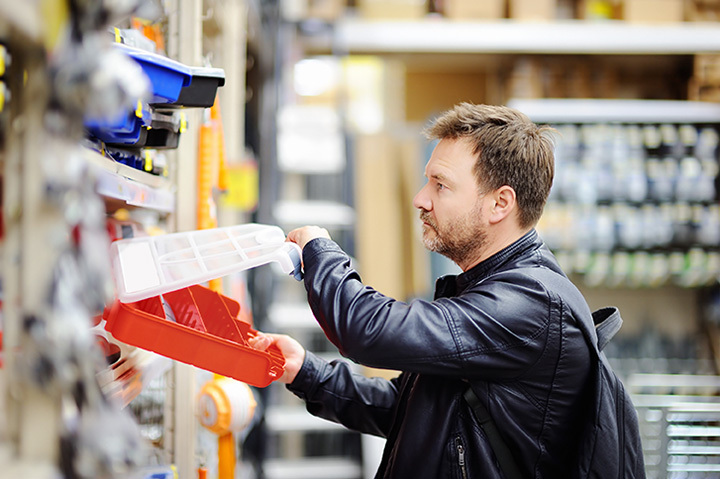 This Do-It-Best hardware store offers the backing of a nationally-recognized brand, but doesn’t diminish the personal service and attentiveness of a locally-owned store. They offer online ordering, a customer loyalty program, and just about everything you need to finish whatever repair project you’re working on. With three locations (Stuart, Vero Beach, and West Palm Beach), Sewell Hardware remains small enough to know their customers but large enough to serve your needs. They carry a wide variety of tools, fasteners, hardware, and other supplies to help you do the job right the first time. They also use their extensive industry knowledge to help you get the most from your purchases. This third-generation hardware store carries everything for marine, residential, and industrial projects. From power tools to welding supplies to paint and key, glass, and screen cutting, you may never have to venture anywhere else to find what you need. Unlike many other small business hardware stores, this one is open on the weekends. With three locations (Delray Beach, Fort Lauderdale, and Labelle), this place is your go-to source for all things irrigation, windmill, and hardware. They have a huge stock of PVC pipe, offer pump repairs, and carry all the little extras you need to complete your project. Firewood, pool supplies, bicycle repair supplies, and lighting are just a few of the hidden surprises you’ll find inside. If you’re looking for best-in-class brands, you’ll find them here. They’re known for carrying names like Dewalt, Lenox, Rustoleum, Shop Vac, Sylvania, Kohler, Master Lock, and more. Combine that with the fact that they’re locally owned and operated, and you’ve got a winning combination no big box store can touch. This Do-It-Best hardware store has everything a hardware store should have, and then some. Screens, keys, glass, bicycles, lawn and garden, farm and ranch, cleaning supplies, electrical, tools, and of course hardware. If you need it, they’ll have it (or can get it for you quickly).